Dawn Hill joined the team at The Buncher Law Corporation in 2010. 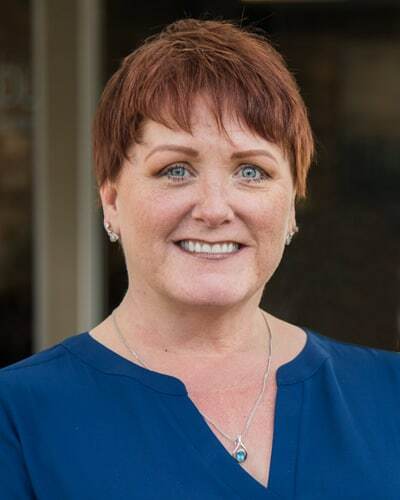 As a Client Care and Billing Specialist, Dawn acts as a liaison between our clients and staff members, ensuring that lines of communication are always open. She also handles client inquiries, locates resources to assist clients, and assists with the resolution of any urgent issues that may arise at the firm. With a focus on providing top quality customer service, Dawn finds immense satisfaction in hearing feedback from clients and finding new ways to exceed the expectations of all who come to the firm for help. Dawn earned her Bachelor’s degree in Design from State University College at Buffalo. The Buncher Law Corporation greatly benefits from her outside-of-the-box thinking and creative talents.